I wasn’t always a Disney person. Anyone who knew me in my twenties or thirties knows this. I mean, sure, I knew other people might enjoy traveling with Disney, but it definitely wasn’t for me. I liked hiking, trekking, camping; not crowds, not theme park rides, not Disney. 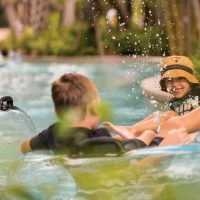 So when I had the opportunity to experience the third pillar of the Disney travel experience, a guided vacation with Adventures by Disney, I leapt at the chance. And the trip—a “Short Escape” to New York City—did not disappoint. If you’re not quite sure that traveling with Disney is right for you, or even what it means to travel with Disney, here’s what you need to know about Adventures by Disney’s guided vacations. I often tell people that Disney vacations can be as much or as little about “Disney” as you want them to be. Not into princesses and tiaras? No problem. Don’t like Star Wars?—What’s wrong with you?—But still, you’ll be fine on a Disney vacation. It’s not like the theme park experience at all. Adventures by Disney is all about the Disney way of doing things, not the Disney entertainment brand. When you travel with Disney, here’s what you’ll get: friendly staff, VIP access, and unique experiences. All the other Disney stuff—super heroes, Jedi Knights, princesses—are just window dressing that you can either soak in or set aside, depending on your preferences. Adventures by Disney and Disney Cruise Line are travel companies that consistently deliver quality trips with one-of-a-kind experiences. They’re not all-Disney, all-the-time, immersive experiences—unless specifically billed as such (e.g., a Star Wars Day at Sea on a cruise). Over the course of a few days I saw parts of the city that most New Yorkers probably never do: I went behind the scenes at Broadway’s New Amsterdam Theater, where Disney’s Aladdin is currently playing, to explore the set and try on original costumes from past productions like Mary Poppins and The Lion King. I had front row seats for a live taping of Good Morning America and toured the ABC television studio. And after a live performance of Frozen: The Musical on Broadway—with front-row orchestra seats—I met several of the cast members after the rest of the crowd had gone home. This was not a typical New York City getaway. It wasn’t something I ever could have put together on my own. The Adventures by Disney experience was essentially a VIP pass to the city’s hottest attractions. Backstage at #GMA. Emma Stone, Chrissy Teigan, and Snow Patrol were the guests. I was close enough to touch them all but I resisted the urge. Nowhere is the Disney difference on display more than in the people you meet in your travels. Whether it’s the staff on Disney Cruise Line or your two Adventures by Disney guides, you get the sense that the people accompanying you on vacation actually enjoy doing their job. Compare that with, say, literally any encounter at an airport, and you start to get the picture. Being around people who enjoy what they do can be contagious, especially when what they do is ensuring you have a great trip. Adventures by Disney tailors each trip to its destination. My New York getaway had a very Manhattan vibe to it: Broadway shows, TV studio access, a Times Square hotel, high-end dining. My wife and I spent an afternoon learning dance steps in a Broadway dance studio, but in Wyoming you’ll hit the trails on horseback; in Peru, you’ll visit Machu Picchu; in Japan you’ll get a lesson is wielding a samurai sword; in Tuscany you’ll make pizza in a rustic farmhouse; and in Rome you’ll have private after-hours access to the Sistine Chapel and Vatican Museum. These are not experiences you’re likely to have on another vacation. Adventures by Disney offers vacations on six continents. There are long trips, and there are short escapes. Disney Cruise Line sails from both U.S. coasts and travels as far and wide as South America, the Caribbean, Alaska, Europe, and Canada and New England. If there’s someplace you’ve always wanted to visit, chances are Disney can get you there in a unique way. 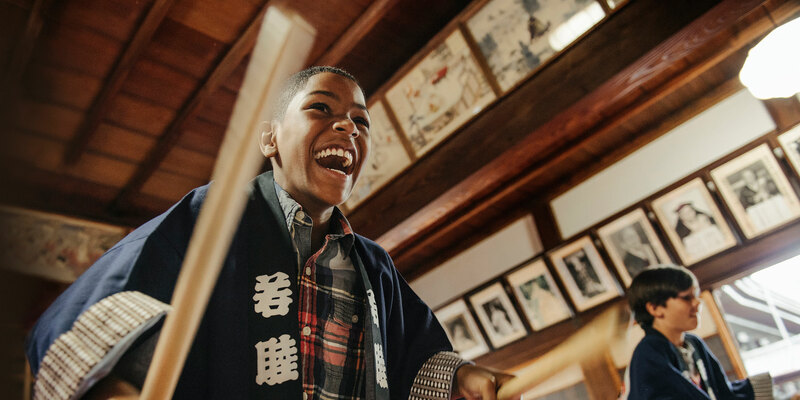 New for 2019, Adventures by Disney is introducing Short Escapes to Boston, Vancouver, and London. Other quick getaways include trips to New York City, San Francisco, Southern California, Wyoming, Barcelona, and Rome. And finally: It’s all a package deal. Hotel accommodations, tickets and admissions, transportation on the trip, luggage handling, snacks, most meals, and two guides—everything is already baked into the price of your trip. Josh Roberts visited New York City as a guest of Adventures by Disney. Follow him on Twitter @joshwritesYA.